Whether you prefer the simplicity of wood accents or the quirky cuteness of our fox, hedgehog and owl designs, it is clear that fall is full of woodland inspiration. Even our associates have been inspired by the sights and textures of the wilderness. Tiffany K. of the Paper Source Invitations Department fell in love with the Paper Source Fox and Hedgehog designs, and found an adorable way to tie in natural fibers like burlap and jute. 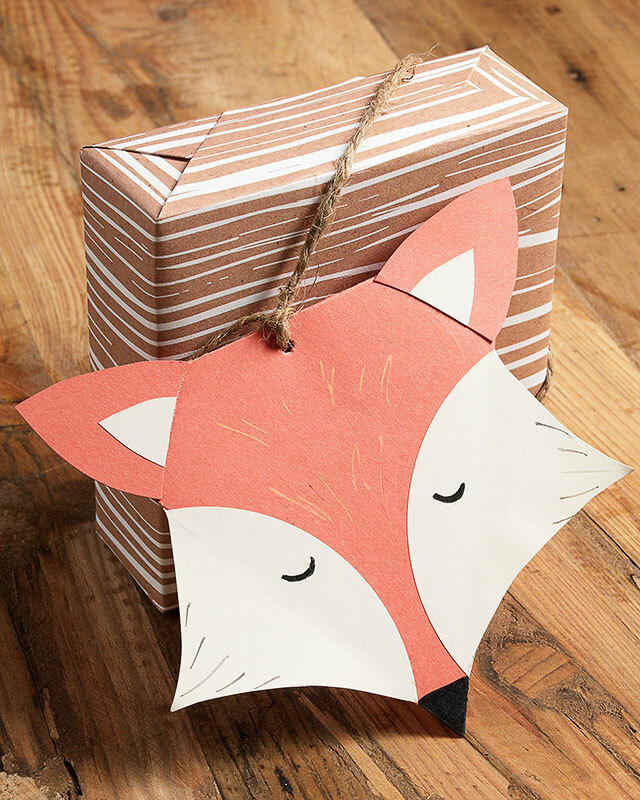 Using solid paper, Tiffany created an adorable fox gift tag, which perfectly accents this Faux Bois wrapping paper. 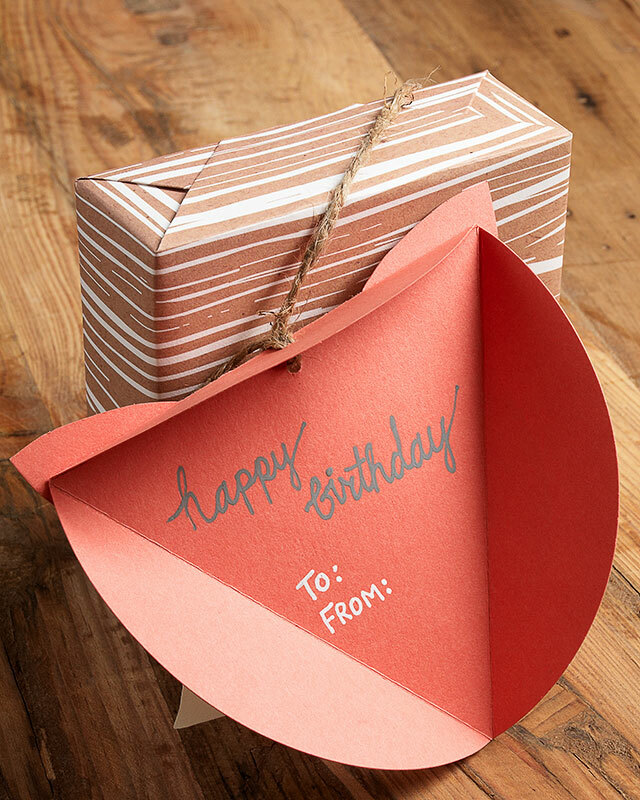 The gift tag is folded to allow for a simple greeting or a to/from label. 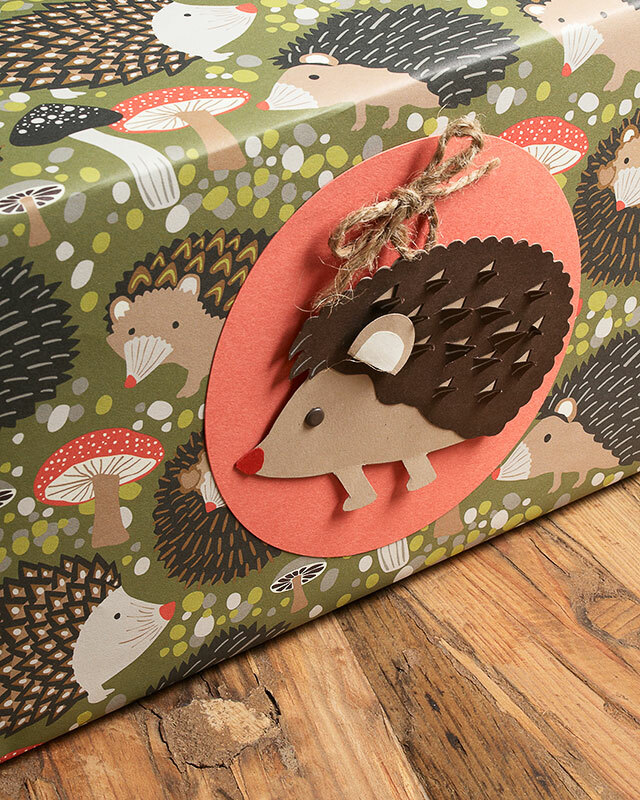 Her gift wrap inspiration continued with a Hedgehog-inspired label, complete with prickly accents cut from a scallop card. 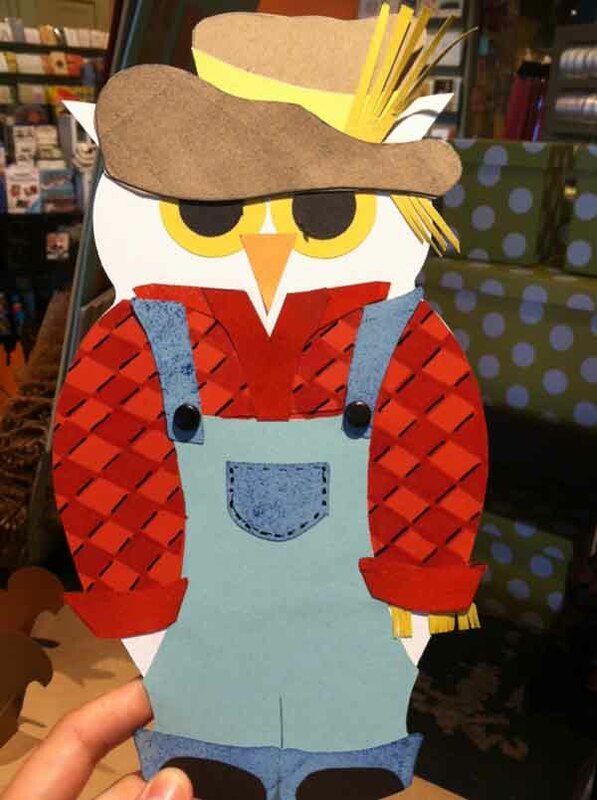 Calla from our Dedham Paper Source location has been inspired by the Paper Source owl, using flat cards to create custom owls with loads of character. What wilderness icons are inspiring your fall crafts and home decor? Is there a template for the AWESOME fox and hedgehog that you made? I love them! That hedgehog is so cute! How did you make that? Love the fox card! and the texture on the hedgehog! Agree, these are so cute. Is there template for making the gift tags?